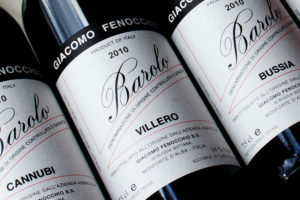 We invite you to join us at Perbacco next Friday, November 2nd for an intimate evening celebrating the wines of Giacomo Fenocchio estate, fifth generation growers and producers of high quality Barolos. This dinner will provide the rare opportunity for a comparative tasting of two historic and highly lauded Barolo crus from one of the best vintages in recent history out of magnums. Winemaker and estate owner, Claudio Fenocchio, will be joining us for the evening to speak about each of his incredible wines. 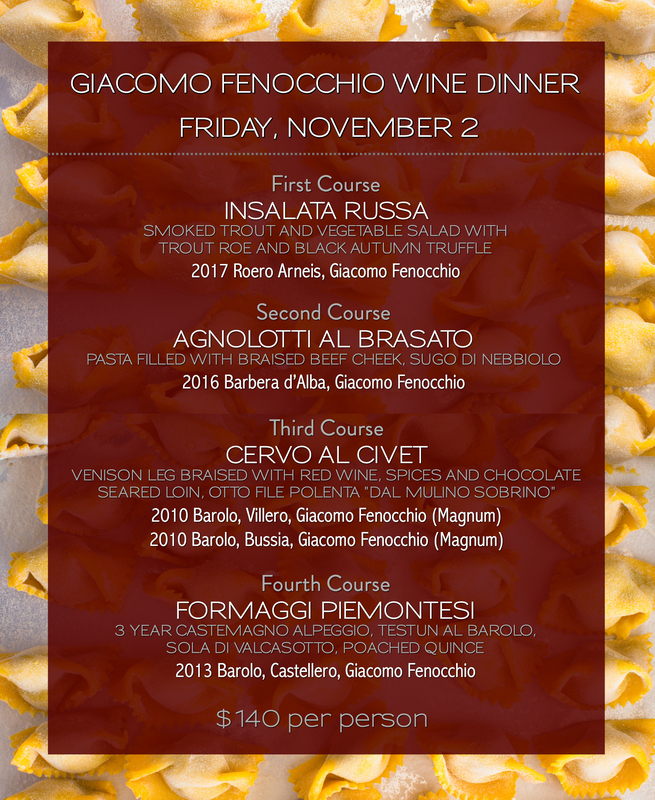 Chef Staffan will prepare a four-course dinner that will be paired with a selection of Fenocchio’s finest wines. The complete pairing menu can be found below and will be $140 per person, excluding tax and gratuity. The evening will begin at 6:30pm with a sparkling reception and dinner will follow at 7:00pm. To make plans to join us next Friday, please contact Stephen Lee, Director of Hospitality & Private Dining: (415) 955-0647 or stephen@perbaccosf.com.